17 Temperature thresholds/sensitivities in the Ecosystems section (only) are given relative to pre-industrial climate and are a proxy for climate change including precipitation changes. In other sections temperature changes are relative to 1990 as indicated in the first paragraph of Section TS .4. - small islands, especially low-lying atolls (e.g., the Maldives). A summary of impacts projected for each region is given in Box TS.6. Agricultural production in many African countries and regions will likely be severely compromised by climate change and climate variability. This would adversely affect food security and exacerbate malnutrition (very high confidence). Agricultural yields and dependence on natural resources constitute a large part of local livelihoods in many, but not all, African countries. Agriculture is a major contributor to the current economy of most African countries, averaging 21% and ranging from 10% to 70% of GDP with indications that off-farm income augments the overall contribution of agriculture in some countries [9.2.2, 9.4.4]. Agricultural losses are shown to be possibly severe for several areas (e.g., the Sahel, East Africa and southern Africa) accompanied by changes in length of growing periods impacting mixed rain-fed, arid and semi-arid systems under certain climate projections. In some countries, yields from rain-fed agriculture could be reduced by up to 50% by 2020. At the local level, many people are likely to suffer additional losses to their livelihood when climate change and variability occur together with other stressors (e.g., conflict) [9.2.2,9.6.1]. Climate change and variability are likely to result in species loss, extinctions and also constrain the 'climate spaces' and ranges of many plants and animals (high confidence). Changes in a variety of ecosystems are already being detected, particularly in southern African ecosystems, at a faster rate than anticipated as a result of a variety of factors, including the influence of climate, e.g., mountain ecosystems [9.4.5,4.4.2,4.4.3,4.4.8]. In unmanaged environments, multiple, interacting impacts and feedbacks are expected, triggered by changes in climate, but exacerbated by non-climatic factors (high confidence). Impacts on Kilimanjaro, for example, show that glaciers and snow cover have been retreating as a result of a number of interacting factors (e.g., solar radiation, vegetation changes and human interactions), with a decrease in glacier surface area of approximately 80% between 1912 and 2003 (see Figure TS.10). The loss of 'cloud forests', e.g., through fire, since 1976 has resulted in a 25% annual reduction of water sources derived from fog (equivalent to the annual drinking water supply of 1 million people living around Mt. Kilimanjaro) [9.4.5]. Lack of access to safe water, arising from multiple factors, is a key vulnerability in many parts of Africa. This situation is likely to be further exacerbated by climate change (very high confidence). By 2020, some assessments project that between 75 and 250 million people are estimated to be exposed to increased water stress due to climate change. If coupled with increased demand, this will adversely affect livelihoods and exacerbate water-related problems. Some assessments, for example, show severe increased water stress and possible increased drought risk for parts of northern and southern Africa and increases in runoff in East Africa. Water access is, however, threatened not only by climate change [9.4.1] but also by complex river-basin management (with several of Africa's major rivers being shared by several countries), and degradation of water resources by abstraction of water and pollution of water sources [9.4.1]. Attributing the contribution of climate change to changes in the risk of malaria remains problematic (high confidence). Human health, already compromised by a range of factors, could also be further negatively impacted by climate change and climate variability (e.g., in southern Africa and the East African highlands). The debate on climate change attribution and malaria is ongoing and this is an area requiring further research [9.4.3, 8.2.8,8.4.1]. Africa is one of the most vulnerable continents to climate variability and change because of multiple stresses and low adaptive capacity. The extreme poverty of many Africans, frequent natural disasters such as droughts and floods, and agriculture which is heavily dependent on rainfall, all contribute. Cases of remarkable resilience in the face of multiple stressors have, however, been shown (high confidence). Africa possesses many examples of coping and adaptation strategies that are used to manage a range of stresses including climate extremes (e.g., droughts and floods). Under possible increases in such stresses, however, these strategies are likely to be insufficient to adapt to climate variability and change, given the problems of endemic poverty, poor institutional arrangements, poor access to data and information, and growing health burdens [9.2.1, 9.2.2., 9.2.5]. Observations demonstrate that climate change has affected many sectors in Asia in the past decades (medium confidence). Evidence of impacts of climate change, variability and extreme events in Asia, as predicted in the Third Assessment, has emerged. The crop yield in most countries of Asia has been observed to be declining, probably partly attributable to rising temperatures. As a likely consequence of warming, the retreat of glaciers and thawing of permafrost in boreal Asia have been unprecedented in recent years. The frequency of occurrence of climate-induced diseases and heat stress in Central, East, South and South-East Asia has increased with rising temperatures and rainfall variability. Observed changes in terrestrial and marine ecosystems have become more pronounced [10.2.3]. Future climate change is expected to affect agriculture through declining production and reductions in arable land area and food supply for fish (medium confidence). Projected surface warming and shifts in rainfall in most countries of Asia will induce substantial declines in agricultural crop productivity as a consequence of thermal stress and more severe droughts and floods [10.4.1]. The decline in agricultural productivity will be more pronounced in areas already suffering from increasing scarcity of arable land, and will increase the risk of hunger in Asia, particularly in developing countries [10.4.1]. Subsistence farmers are at risk from climate change. Marginal crops such as sorghum and millet could be at the greatest risk, both from a drop in productivity and from a loss of crop genetic diversity [10.4.1]. In response to climate change, it is expected that changes will occur in fish breeding habitats and food supply for fish, and ultimately the abundance of fish populations [10.4.1]. Climate change has the potential to exacerbate water-resource stresses in most regions of Asia (high confidence). The most serious potential threat arising from climate change in Asia is water scarcity. Freshwater availability in Central, South, East and South-East Asia, particularly in large river basins, is projected to decrease due to climate change which, along with population growth and increasing demand arising from higher standards of living, could adversely affect more than a billion people by the 2050s [10.4.2]. Changes in seasonality of runoff due to rapid melting of glaciers and in some areas an increase in winter precipitation could have significant effects on hydropower generation and on crop and livestock production [10.4.2]. Increases in temperature are expected to result in more rapid recession of Himalayan glaciers and the continuation of permafrost thaw across northern Asia (medium confidence). If current warming rates are maintained, Himalayan glaciers could decay at very rapid rates (Figure TS.11). Accelerated glacier melt would result in increased flows in some river systems for the next two to three decades, resulting in increased flooding, rock avalanches from destabilised slopes, and disruption of water resources. This would be followed by a decrease in flows as the glaciers recede [10.6.2]. Permafrost degradation can result in ground subsidence, alter drainage characteristics and infrastructure stability, and can result in increased emissions of methane [10.4.4]. Asian marine and coastal ecosystems are expected to be affected by sea-level rise and temperature increases (high confidence). Projected sea-level rise could result in many additional millions of people being flooded each year [10.4.3.1]. Sea-water intrusion could increase the habitat of brackish-water fisheries but significantly damage the aquaculture industry [10.4.1]. Overall, sea-level rise is expected to exacerbate already declining fish productivity in Asia [10.4.1]. Arctic marine fisheries would be greatly influenced by climate change, with some species, such as cod and herring, benefiting at least for modest temperature increases, and others, such as the northern shrimp, suffering declining productivity [10.4.1]. Climate change is expected to exacerbate threats to biodiversity resulting from land-use/cover change and population pressure in most parts of Asia (high confidence). Increased risk of extinction for many flora and fauna species in Asia is likely as a result of the synergistic effects of climate change and habitat fragmentation [10.4.4]. Threats to the ecological stability of wetlands, mangroves and coral reefs around Asia would also increase [10.4.3,10.6.1]. The frequency and extent of forest fires in northern Asia is expected to increase in the future due to climate change and extreme weather events that could likely limit forest expansion [10.4.4]. Increases in endemic morbidity and mortality due to diarrhoeal disease primarily associated with floods and droughts are expected in East, South and South-East Asia, due to projected changes in the hydrological cycle associated with global warming [10.4.5]. Increases in coastal water temperature would exacerbate the abundance and/or toxicity of cholera in South Asia [10.4.5]. Natural habitats of vector-borne and water-borne diseases are reported to be expanding [10.4.5]. Multiple stresses in Asia will be further compounded in the future due to climate change (high confidence). Exploitation of natural resources associated with rapid urbanisation, industrialisation and economic development in most developing countries of Asia has led to increasing air and water pollution, land degradation, and other environmental problems that have placed enormous pressure on urban infrastructure, human well-being, cultural integrity, and socioeconomic settings. It is likely that climate change will intensify these environmental pressures and impinge on sustainable development in many developing countries of Asia, particularly in the South and East [10.5.6]. The region is already experiencing impacts from recent climate change, and adaptation has started in some sectors and regions (high confidence). Since 1950 there has been a 0.3 to 0.7°C warming in the region, with more heatwaves, fewer frosts, more rain in north-western Australia and south-western New Zealand, less rain in southern and eastern Australia and north-eastern New Zealand, an increase in the intensity of Australian droughts, and a rise in sea level of 70 mm [11.2.1]. Impacts are now evident in water supply and agriculture, changed natural ecosystems, reduced seasonal snow cover and glacier shrinkage [11.2.2, 11.2.3]. Some adaptation has occurred in sectors such as water, agriculture, horticulture and coasts [11.2.5]. The climate of the 21st century is virtually certain to be warmer, with changes in extreme events (medium to high confidence). Heatwaves and fires are virtually certain to increase in intensity and frequency (high confidence) [11.3]. Floods, landslides, droughts and storm surges are very likely to become more frequent and intense, and snow and frost are likely to become less frequent (high confidence) [11.3.1]. Large areas of mainland Australia and eastern New Zealand are likely to have less soil moisture, although western New Zealand is likely to receive more rain (medium confidence) [11.3]. Without further adaptation, potential impacts of climate change are likely to be substantial (high confidence). 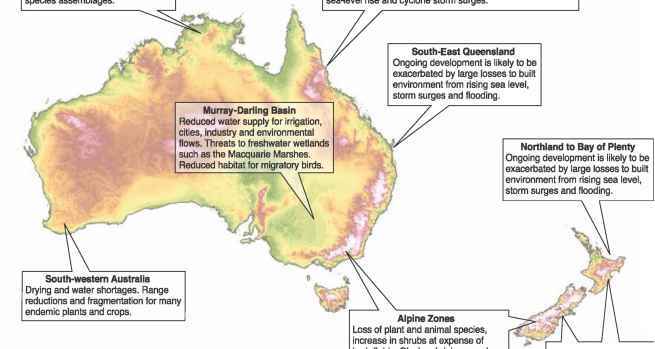 • As a result of reduced precipitation and increased evaporation, water security problems are very likely to intensify by 2030 in southern and eastern Australia and, in New Zealand, in Northland and some eastern regions [11.4.1]. • Significant loss of biodiversity is projected to occur by 2020 in some ecologically rich sites including the Great Barrier Reef and Queensland Wet Tropics. Other sites at risk include Kakadu Wetlands, south-west Australia, sub-Antarctic islands and the alpine areas of both countries [11.4.2]. • Ongoing coastal development and population growth in areas such as Cairns and south-east Queensland (Australia) and Northland to Bay of Plenty (New Zealand) are projected to exacerbate risks from sea-level rise and increases in the severity and frequency of storms and coastal flooding by 2050 [11.4.5, 11.4.7]. • Risks to major infrastructure are likely to markedly increase. By 2030, design criteria for extreme events are very likely to be exceeded more frequently. These risks include the failure of flood protection and urban drainage/sewerage, increased storm and fire damage, and more heatwaves causing more deaths and more black-outs [11.4.1, 11.4.5, 11.4.7, 11.4.10, 11.4.11]. • Production from agriculture and forestry is projected to decline by 2030 over much of southern and eastern Australia, and over parts of eastern New Zealand, due to increased drought and fire. However, in New Zealand, initial benefits to agriculture and forestry are projected in western and southern areas and close to major rivers due to a longer growing season, less frost and increased rainfall [11.4.3, 11.4.4]. Vulnerability is likely to increase in many sectors, but this depends on adaptive capacity. • Most human systems have considerable adaptive capacity. The region has well-developed economies, extensive scientific and technical capabilities, disaster-mitigation strategies, and biosecurity measures. However, there are likely to be considerable cost and institutional constraints to the implementation of adaptation options (high confidence) [11.5]. Some Indigenous communities have low adaptive capacity (medium confidence) [11.4.8]. Water security and coastal communities are most vulnerable (high confidence) [11.7]. • Natural systems have limited adaptive capacity. Projected rates of climate change are very likely to exceed rates of evolutionary adaptation in many species (high confidence) [11.5]. Habitat loss and fragmentation are very likely to limit species migration in response to shifting climatic zones (high confidence) [11.2.5, 11.5]. • Vulnerability is likely to rise as a consequence of an increase in extreme events. Economic damage from extreme weather is very likely to increase and provide major challenges for adaptation (high confidence) [11.5]. • Vulnerability is likely to be high by 2050 in a few identified hotspots (see Figure TS.12). In Australia, these include the Great Barrier Reef, eastern Queensland, the south-west, Murray-Darling Basin, the Alps and Kakadu; in New Zealand, these include the Bay of Plenty, Northland, eastern regions and the Southern Alps (medium confidence) [11.7]. Water security problems from increased drought and rising demand where irrigation is unavailable. Loss of plant and animal species, Increase in shrubs at expense of herb fields. Glacier shrinkage and reduction In snow cover. Threats to New Zealand's built environment from Increased flooding, erosion and landslides. For the first time, wide-ranging impacts of changes in current climate have been documented in Europe (very high confidence). The warming trend and spatially variable changes in rainfall have affected composition and functioning of the cryosphere (retreat of glaciers and extent of permafrost) as well as natural and managed ecosystems (lengthening of growing season, shift of species and human health due to a heatwave of unprecedented magnitude) [12.2.1]. 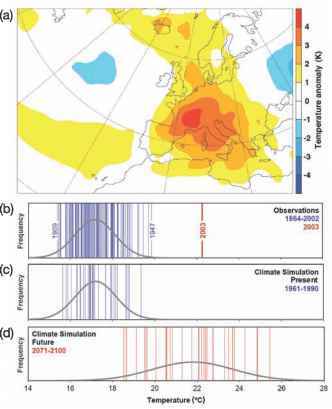 The European heatwave in 2003 (see Figure TS.13) had major impacts on biophysical systems and society (around 35,000 excess deaths were recorded) [12.6.1]. The observed changes are consistent with projections of impacts due to future climate change [12.4]. Climate-related hazards will mostly increase, although changes will vary geographically (very high confidence). (by the 2070s, today's 100-year droughts will return every 50 years or less in southern and south-eastern Europe), as well as a longer fire-season and increased fire risk, particularly in the Mediterranean region [12.3.1, 12.4.4]. A higher frequency of catastrophic fires is also expected on drained peatlands in central and eastern Europe [12.4.5]. 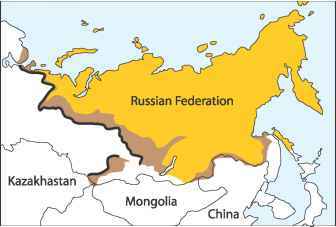 The frequency of rockfalls will increase due to destabilisation of mountain walls by rising temperatures and melting of permafrost [12.4.3]. Some impacts may be positive, such as reduced cold-related mortality because of increasing winter temperatures. However, on balance, without adaptive measures, health risks due to more frequent heatwaves, especially in southern, central and eastern Europe, flooding and greater exposure to vector- and food-borne diseases are anticipated to increase [12.4.11]. Climate change is likely to magnify regional differences in Europe's natural resources and assets (very high confidence). over the Mediterranean Basin, and also over eastern and central Europe and, to a lesser degree, over northern Europe even as far north as central Scandinavia [12.3.1]. Recruitment and production of marine fisheries in the North Atlantic are likely to increase [12.4.7]. Crop suitability is likely to change throughout Europe, and crop productivity (all other factors remaining unchanged) is likely to increase in northern Europe, and decrease along the Mediterranean and in south-east Europe [12.4.7]. Forests are projected to expand in the north and retreat in the south [12.4.4]. Forest productivity and total biomass are likely to increase in the north and decrease in central and eastern Europe, while tree mortality is likely to accelerate in the south [12.4.4]. Differences in water availability between regions are anticipated to become more pronounced: annual average runoff increasing in north/north-west, and decreasing in south/southeast Europe (summer low flow is projected to decrease by up to 50% in central Europe and by up to 80% in some rivers in southern Europe) [12.4.1, 12.4.5]. Water stress is likely to increase, as well as the number of people living in river basins under high water stress (high confidence). Water stress is likely to increase over central and southern Europe. The percentage of area under high water stress is likely to increase from 19% to 35% by the 2070s, and the number of people at risk from 16 to 44 million [12.4.1]. The regions most at risk are southern Europe and some parts of central and eastern Europe [12.4.1]. The hydropower potential of Europe is expected to decline on average by 6%, and by 20 to 50% around the Mediterranean by the 2070s [12.4.8.1]. It is anticipated that Europe's natural systems and biodiversity will be substantially affected by climate change (very high confidence). The great majority of organisms and ecosystems are likely to have difficulty in adapting to climate change (high confidence). Sea-level rise is likely to cause an inland migration of beaches and loss of up to 20% of coastal wetlands [12.4.2. ], reducing the habitat availability for several species that breed or forage in low-lying coastal areas [12.4.6]. Small glaciers will disappear and larger glaciers substantially shrink (projected volume reductions of between 30% and 70% by 2050) during the 21st century [12.4.3]. Many permafrost areas in the Arctic are projected to disappear [12.4.5.]. In the Mediterranean, many ephemeral aquatic ecosystems are projected to disappear, and permanent ones shrink and become ephemeral [12.4.5]. The northward expansion of forests is projected to reduce current tundra areas under some scenarios [12.4.4]. Mountain communities face up to a 60% loss of species under high-emissions scenarios by 2080 [12.4.3]. A large percentage of the European flora (one study found up to 50%) is likely to become vulnerable, endangered or committed to extinction by the end of this century [12.4.6]. Options for adaptation are likely to be limited for many organisms and ecosystems. For example, limited dispersal is very likely to reduce the range of most reptiles and amphibians [12.4.6]. 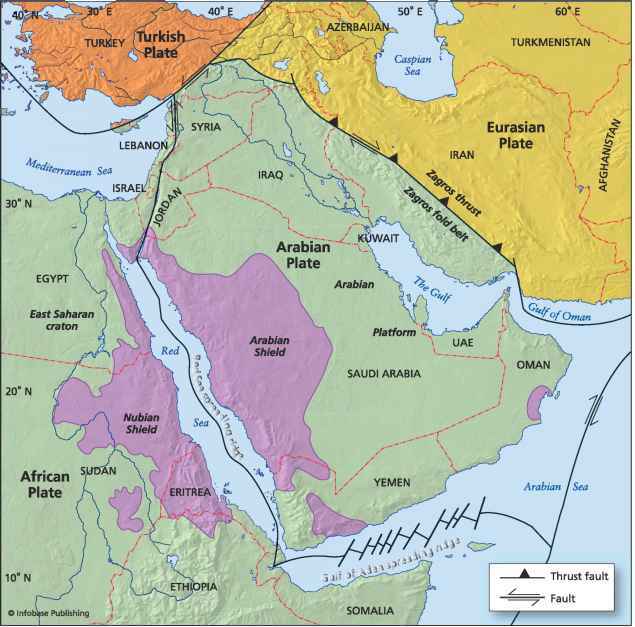 Low-lying, geologically subsiding coasts are likely to be unable to adapt to sea-level rise [12.5.2]. There are no obvious climate adaptation options for either tundra or alpine vegetation [12.5.3]. The adaptive capacity of ecosystems can be enhanced by reducing human stresses [12.5.3, 12.5.5]. New sites for conservation may be needed because climate change is very likely to alter conditions of suitability for many species in current sites (with climate change, to meet conservation goals, the current reserve area in the EU would have to be increased by 41%) [12.5.6]. Nearly all European regions are anticipated to be negatively affected by some future impacts of climate change and these will pose challenges to many economic sectors (very high confidence). In southern Europe, climate change is projected to worsen conditions (high temperatures and drought) in a region already vulnerable to climate variability. In northern Europe, climate change is initially projected to bring mixed effects, including some benefits, but as climate change continues, its negative effects are likely to outweigh its benefits [12.4]. Figure TS.13. Characteristics of the summer 2003 heatwave: (a) JJA temperature anomaly with respect to 1961-1990; (b-d) June, July, August temperatures for Switzerland; (b) observed during 1864-2003; (c) simulated using a regional climate model for the period 1961-1990; (d) simulated for 2071-2100 under the SRES A2 scenario. The vertical bars in panels (b-d) represent mean summer surface temperature for each year of the time period considered; the fitted Gaussian distribution is indicated in black. Reprinted by permission from Macmillan Publishers Ltd. [Nature] (Schäretal., 2004), copyright2004, [F12.4]. to increase due to climate change: around the Mediterranean, 2 to 3 fewer weeks in a year will require heating but an additional 2 to 5 weeks will need cooling by 2050 [12.4.8]. Peak electricity demand is likely to shift in some locations from winter to summer [12.4.8]. Tourism along the Mediterranean is likely to decrease in summer and increase in spring and autumn. Winter tourism in mountain regions is anticipated to face reduced snow cover (the duration of snow cover is expected to decrease by several weeks for each °C of temperature increase in the Alps region) [12.4.9, 12.4.11]. Adaptation to climate change is likely to benefit from experiences gained in reactions to extreme climate events, by specifically implementing proactive climate-change risk management adaptation plans (very high confidence). Since the TAR, governments have greatly increased the number of actions for coping with extreme climate events. Current thinking about adaptation to extreme climate events has moved away from reactive disaster relief and towards more proactive risk management. A prominent example is the implementation in several countries of early-warning systems for heatwaves (Portugal, Spain, France, UK, Italy, Hungary) [12.6.1]. Other actions have addressed long-term climate change. For example, national action plans have been developed for adapting to climate change [12.5] and more specific plans have been incorporated into European and national policies for agriculture, energy, forestry, transport and other sectors [12.2.3,12.5.2]. Research has also provided new insights into adaptation policies (e.g., studies have shown that crops that become less economically viable under climate change can be profitably replaced by bioenergy crops) [12.5.7]. Although the effectiveness and feasibility of adaptation measures are expected to vary greatly, only a few governments and institutions have systematically and critically examined a portfolio of measures. 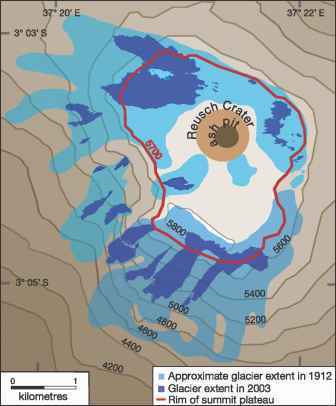 As an example, some reservoirs used now as a measure for adapting to precipitation fluctuations may become unreliable in regions where long-term precipitation is projected to decrease [12.4.1]. The range of management options to cope with climate change varies largely among forest types, with some types having many more options than others [12.5.5].